Summerlin Village - *exquisite Single-story Located In The Ridges/Topaz Ridge Where Opulence & Attention To Detail Abound*private Crtyard Entry*cstm Blt Floor To Ceiling Bookshelves In Library*ceiling Fans/Shutters/Drapes/Window Coverings*8-10 Inch Crown Moulding Thru-out*high-end Applncs; Subzero/Thermdor/Wolf/Warming Drawer*tropical Landscaping/Spa & 9ft Deep Pool W/Diving Rock*retrcbl Awning/Firepit*waterfalls*casita Attch To Single Bay Garage W/ Ac/Heat* MLS#2088781. Resolution Realty. Westwood - Sparkling pool/spa*Custom 2 tone paint and upgraded flooring*Custom lighting, fans and fixtures*Plantation shutters*Island kitchen with stainless steel appliances*Family Room with Gas Fireplace and built-in entertainment*Master Ste has walk in shower, designer tub, walk in closet*2nd Bedroom with private bath* 3 and 4th Bedroom with Jack and Jill bath* MLS#2087167. Local Realty. Summerlin Village - Upgrades include Jr. Master suite with attached balcony that offer peek-a-boo views of the Las Vegas strip, downstairs includes an in-law suite with its own separate living area (currently being used as an office), Built-in cabinets w/ microwave, sink and is refrigerator ready. Too many upgrades too list. MLS#2088632. Realty ONE Group, Inc.
Amber Hills At Summerlin - Highly upgraded Summln home.5 bdrms,4 bth w/newly updated modern aesthetic feel t/o.This beautifully appointed home features hrdwd flrs,grmt kit w/slab granite cntrs,SS appls,new interior paint.All bths are updated.Lrg upstairs master retreat w/vaulted ceiling, skylight in spa-like bth&custom closet.Yr rnd entertaining w/outdoor speakers,gas built-in grill,firepit,sparkling pool,sep spa,covered canopy&spacious outdoor area. Move-in condition. MLS#2088850. BHHS Nevada Properties. 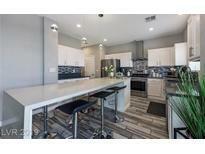 Sun City Summerlin - All appliances and BBQ included. Guest Bath Remodeled MLS#2088586. BHHS Nevada Properties. Summerlin Village - Community provides access to activities such as; hiking, mountain biking trails, community pools & parks. MLS#2089102. eXp Realty. Sun City Las Vegas - Buyer & buyer's agent verify all dimensions. Buyer pays NORA fee. MLS#2089098. BHHS Nevada Properties. Sonesta Summerlin - Featuring a freshly painted exterior, charming courtyard, separate living and family room design, new tile floors in the kitchen, upgraded cabinets, large island and granite counters, a fantastic private backyard with fire pit and large patio. MLS#2088229. Keller Williams Realty Las Vegas. Sun City Summerlin - Show This First, You Will Love It! MLS#2088844. Cofield Real Estate. Fallbrook Summerlin - Summerlin Beauty.One Story 3 Bedroom.Wood Laminate Flooring In Kitchen And Living Room.Tile In Bathrooms.Carpet In Bedrooms.All Rooms With Lighted Ceiling Fans.Remodeled Guest Bath.New Kitchen Counters With Molded In Sink.Backyard Oasis With Real Grass.Great For Entertaining.Mature Trees And A Covered Patio With Ceiling Fan And Storage Shed.Minutes From Downtown Summerlin,Red Rock Casino.Highly Rated Schools.Move In Ready.Owner Is A Realtor. MLS#2088806. Realty Pros. Rosewood - Located only a few minutes away from some of the best ranked schools and LV, Summerlin Hospital and beautiful Downtown Summerlin Mall! MLS#2088942. Vertex Realty & Property Manag. Half Acres - It features a Designer Kitchen, a 5 car garage, stunning pool and spa, large spacious bedrooms, hobby/craft/workshop room, Brazilian cherry Hardwood floors, attic with shelving & pull down stairs and a finished basement that's over 2,000 sq. ft.! Dining & Shopping minutes away! MLS#2086448. BluePrint Realty LLC. Summerlin Village - Gorgeous home-guard gated exclusive Reverence,Summerlin!Ready for summer-professionally landscaped yard,covered patio,outdoor kitchen,BBQ,basketball,fireplace,travertine,fire pit & custom pool on .30 acre!Chef's kitchen-built-in-fridge,commercial-style stove,Quartz,pot-filler,custom cabinetry, beverage fridge/coffee bar.Walk in pantry.2 Laundry room!2 en suite bedrooms down.MASTER SUITE:3 closets,sitting rm,custom bath &mtn view.CRESTRON SECURITY MLS#2088053. eXp Realty. Corta Bella Summerlin - Wet Bar, Wine Fridge, Executive Style Office w/Custom Shelving & Much More! MLS#2088725. Red Luxury. Giverny At Summerlin - Total Remodel costs over $385k. Incredible Opportunity MLS#2088440. 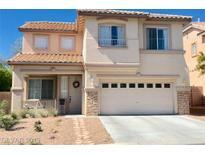 Vegas Dream Homes Inc.
Eagle Rock Summerlin - 2Nd floor ft: Master bed- & bathroom,2 guestrms & full bath. MLS#2088533. Vegas 99 Realty.